This week started with a fail and ended in success. Well, it started with a couple of fails actually. This speech bubble idea came in the form of a pillow, but after several hours of frustration (I couldn’t get the shape exactly right), I switched gears to these coasters. 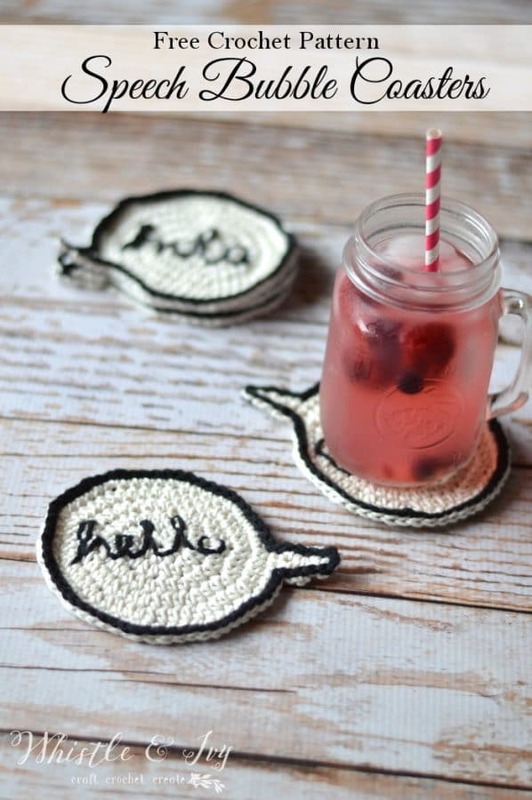 After a funny venture with paint and stencils, I finally completed these adorable crochet speech bubble coasters, and I’m glad at how they (eventually) turned out.